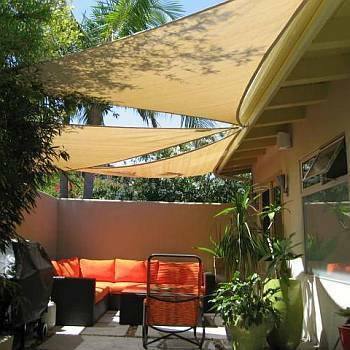 When you start to consider a shade sail structure to shade your patio, deck or any outdoor area, you take care to know where you want the shade to fall, the fabric properties and have a good ideal of how to best fly your sun shade sails. 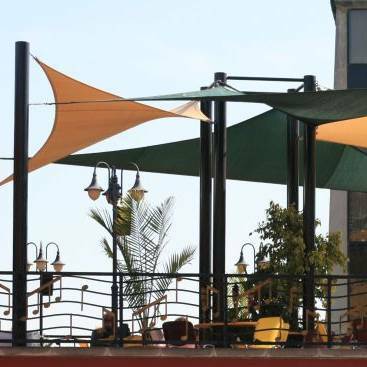 Choose a shade fabric that fits your needs and has lengevity out in the elements. 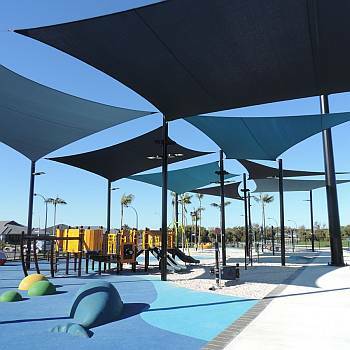 Commercial 95 Shade fabric is a superior mesh fabric. 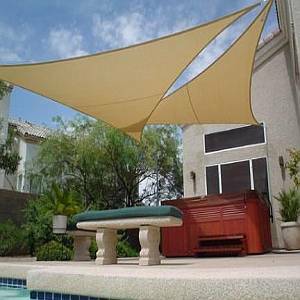 It blocks up to 95% of the UV rays, but wont protect you from getting wet under it during a rain storm. 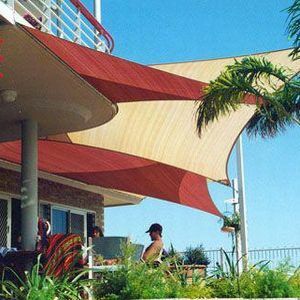 Awning grade Sunbrella is near waterproof, but requires a 20 degree slope on its surface to prevent water from pooling. 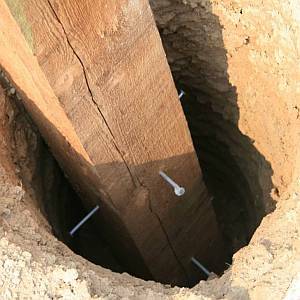 Both last about as long, resists fading, and hold up equally as well under most harsh conditions of the outdoors. What about layout design? How will it look? Ahhh, the big question. Mounting a single sail with all corners at the same height may work well for shade, but from the neighbors point of view may look kinda boring. Consider mounting the sails on a tilted plane. 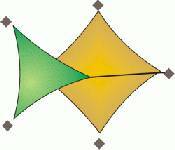 The lower part of the sail should be in the direction of the sun's path. 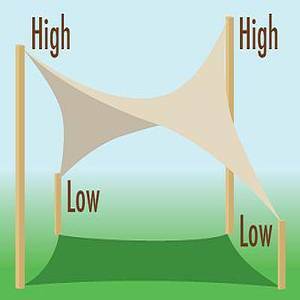 Changes in elevations of the sail of 3ft or more look great. 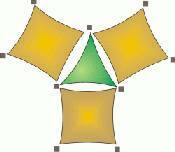 You can produce a 3D hyperbolic shape of any square, rectangle and most 4 corner polygon sails, called a hypar twist, by mounting one pair of opposite corners higher than the other pair of corners. The more change in elevation, the more dramatic the effect. Overlapping several smaller sails is also quite common and encouraged. Using sails with contrasting or coordinating colors can produce stunning and eye-catching results. The design options are unlimited except by your imagination (and budget).